Do You Need a 2nd or 3rd Chance? If you have credit problems but still need a vehicle, we can help you out at Chomedey Toyota Laval. First of all, we know that credit problems aren’t always your fault. Our team of financing experts focus on finding a 2nd or 3rd chance financing plan that suits you and that can also help you improve your credit. Our second chance credit financing experts take a personalized approach with each of our clients. That way we can better understand your needs and find a 2nd or 3rd chance financing solution that will help you buy your dream vehicle and simultaneously improve your credit. At Chomedey Toyota Laval, we are always here to help you. 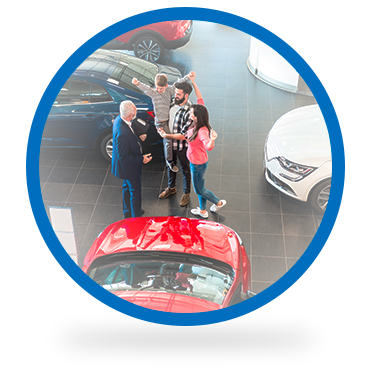 We will exceed your expectations at every visit and help you buy the vehicle you want despite your credit. We have helped hundreds of customers buy the right pre-owned vehicle for them despite credit problems, and we can help you too. Get started today.